Hope you’re all doing great and had a fab weekend! Right now there is around 40-50% off instore and online which makes some of their items justifiable and affordable. So I thought that I would share with you some of my purchases. First up, how adorable is the packaging! Very girly and incredibly vibrant colours. It just screams luxury to me. 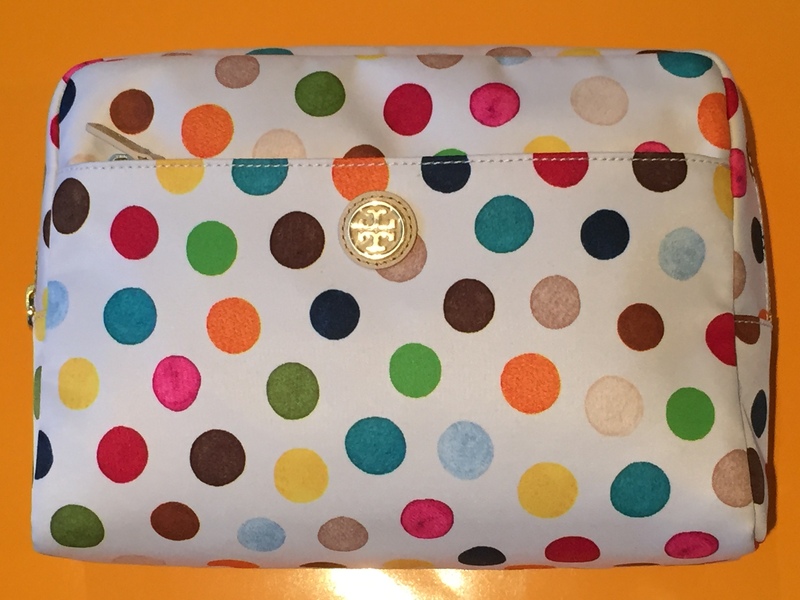 I managed to get my hands on this adorable polka dot make up bag. It’s actually pretty big so I think I’ll use it more as a toiletry bag for when I’m travelling. It’s nylon which means it’s water proof which will prolong the its life span. My current Marc Jacobs one is fabric and over the years has got so much make up on it, the colours have faded from washing it so often, oops. 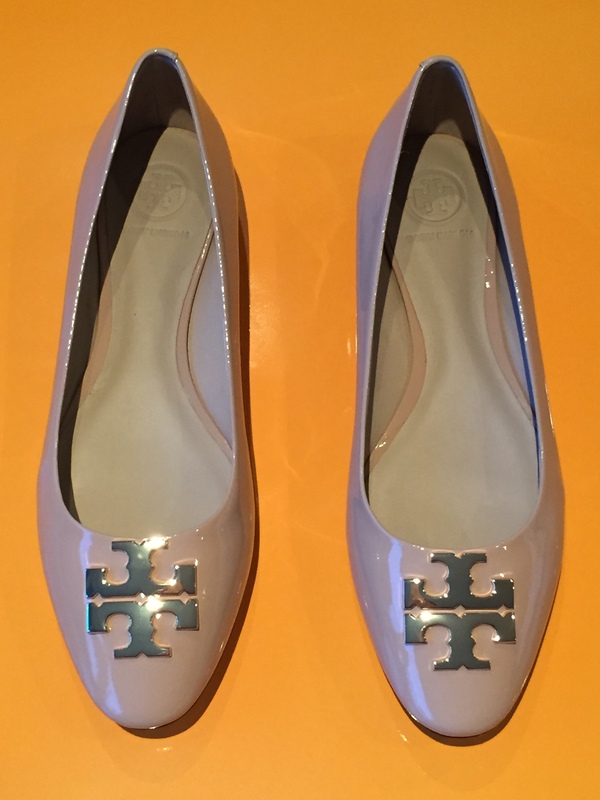 Tory Burch flats are incredibly comfortable. They retail full price around £220 and in the sale they drop to around £120. It may seem pricey however they do have a long lifespan. I got these beige “Raleigh” pumps as they will be perfect for wearing to work and for a glam casual look with skinny jeans. 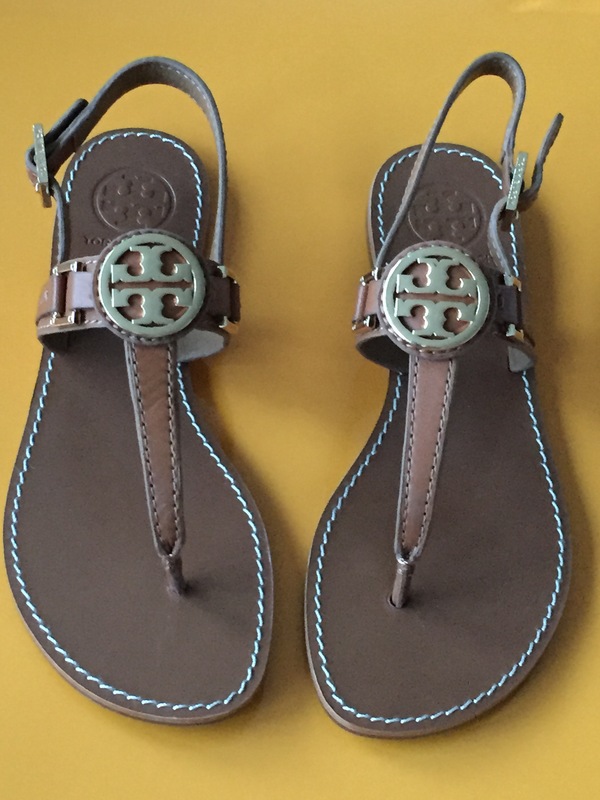 I also picked up two pairs of sandals. I absolutely love the tan ones. I think these will look great with denim shorts. The other pair has blue and gold stripes and I’ll probably wear these for everyday wear and going to the beach. I think these will actually go with a lot more options, for example with work wear, skirts, dresses, short and skinny jeans. Who are your favourite designers? 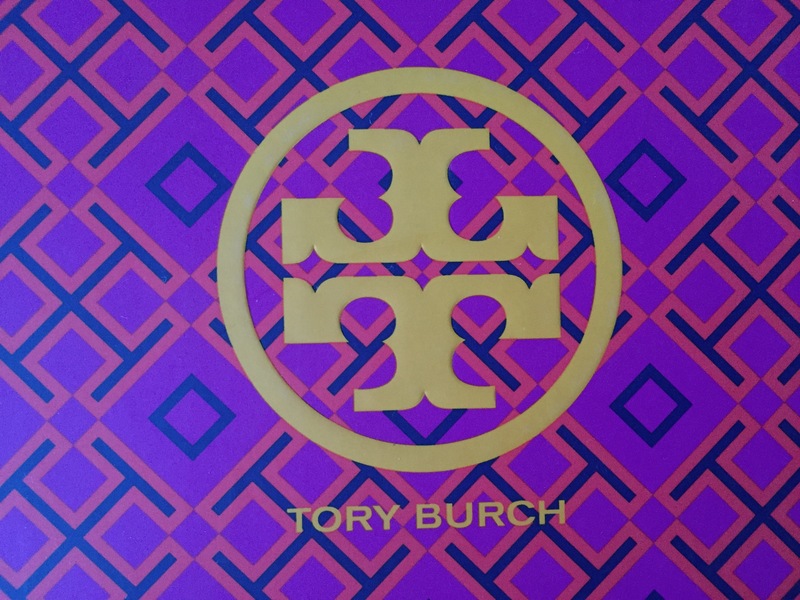 Let me know your thoughts on my haul and any sale bargains that you have managed to pick up, no matter where they are from. I love summer sales!! 🙂 I recently stocked up on goodies when Kate Spade had their sale a few weeks ago. 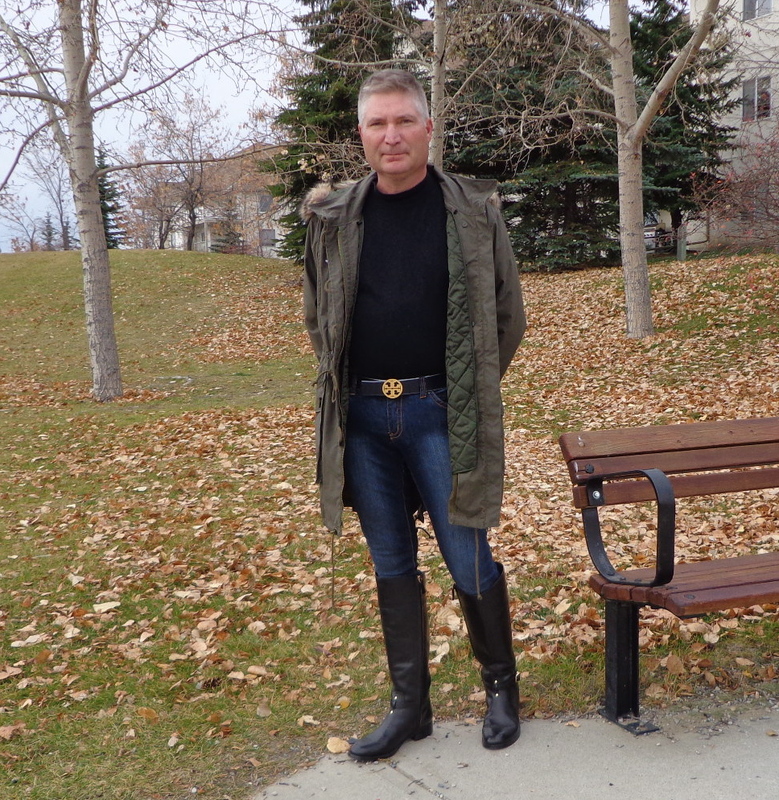 Great Tory selections! A cross body black purse and some earrings 🙂 They were an impulse buy but I love them! Great haul and pretty choices. They sure have very cute packaging. 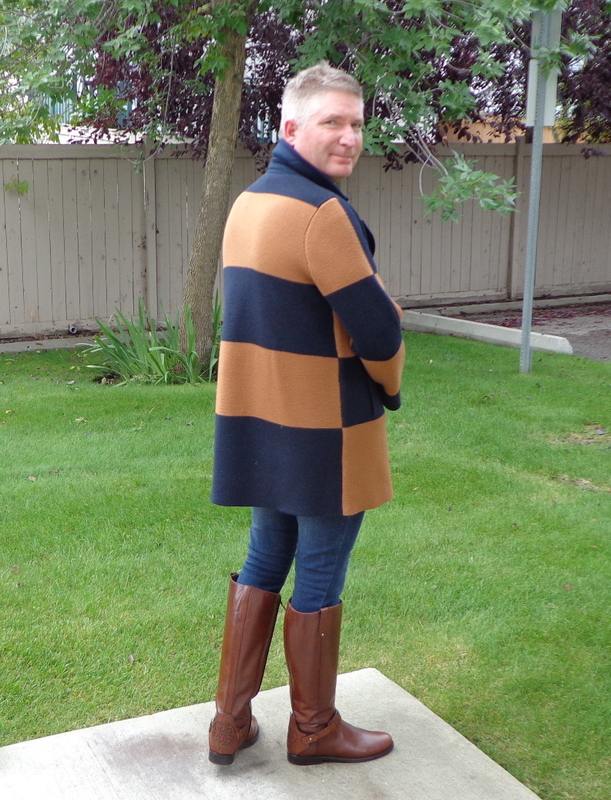 All the shoes are so fab!!! I did buy some nice things. It was so much fun :o) Thanks for asking! Glad your weekend is just what the doctor ordered. Mine was too (back to work tomorrow, but that’s ok!). I love her shoe designs! But I’ve always wondered how comfortable they were- are we talking walking up and down hilly streets all day and perhaps running for a bus, or are we talking commute via car comfy? Thanks, I’ll keep this in mind next time I go shoe shopping. 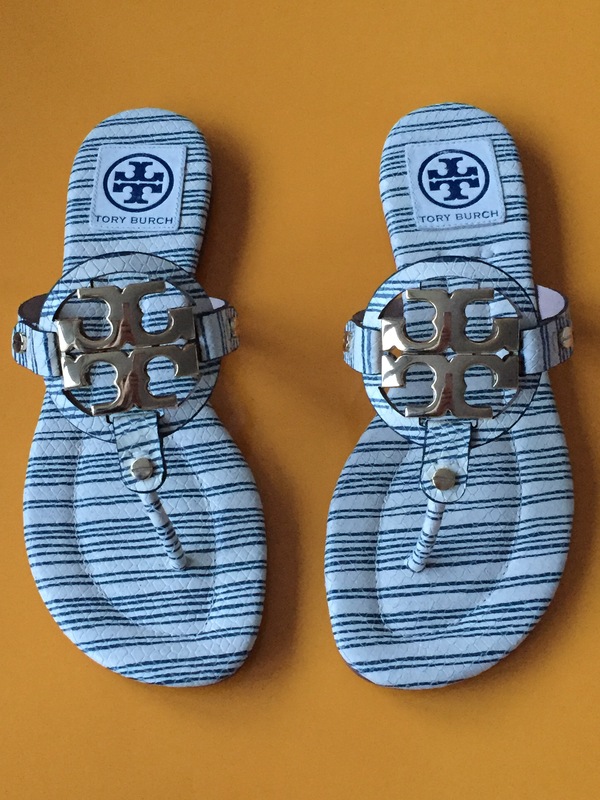 I think those Tony Burch flat sandals are so cool Hayley! 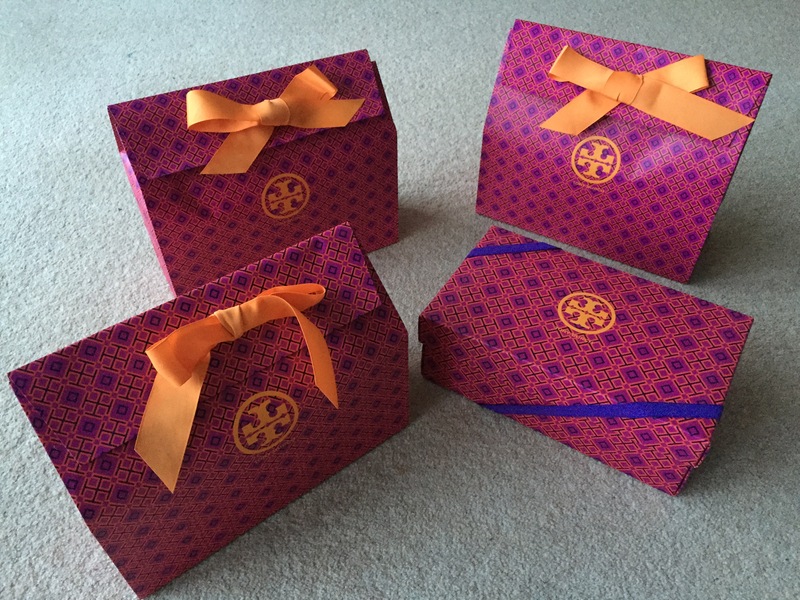 Thanks for sharing your love for Tory Burch and this amazing haul. Hope you’ve been well, any new Tory’s for you?